And, yes, it is a full-fledged blizzard with winds gusting to 50 mph. 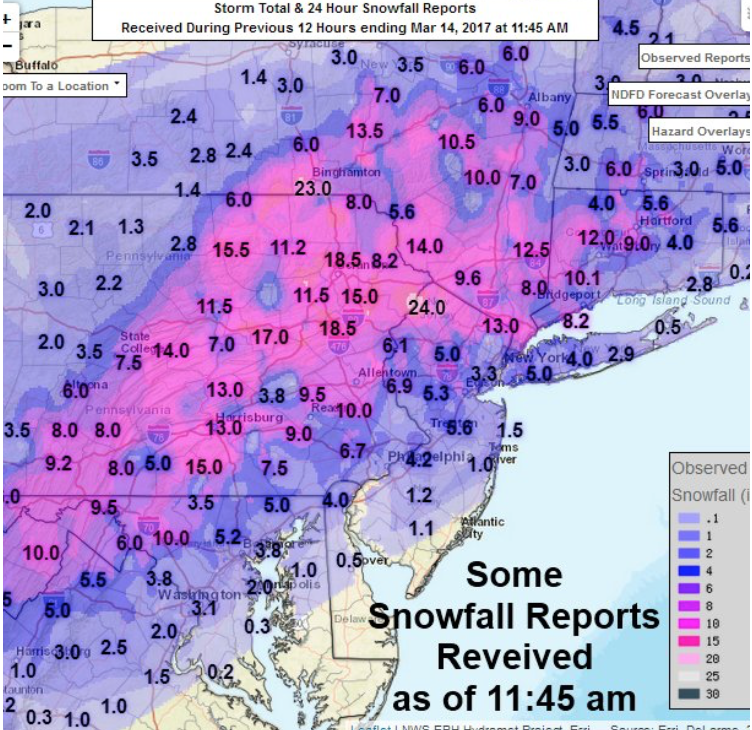 I was forecasting about 13”± for NYC. The storm moved about 30 mi. farther north than I thought. Note the 24" in far NW New Jersey. Of course, it is still snowing in many areas.